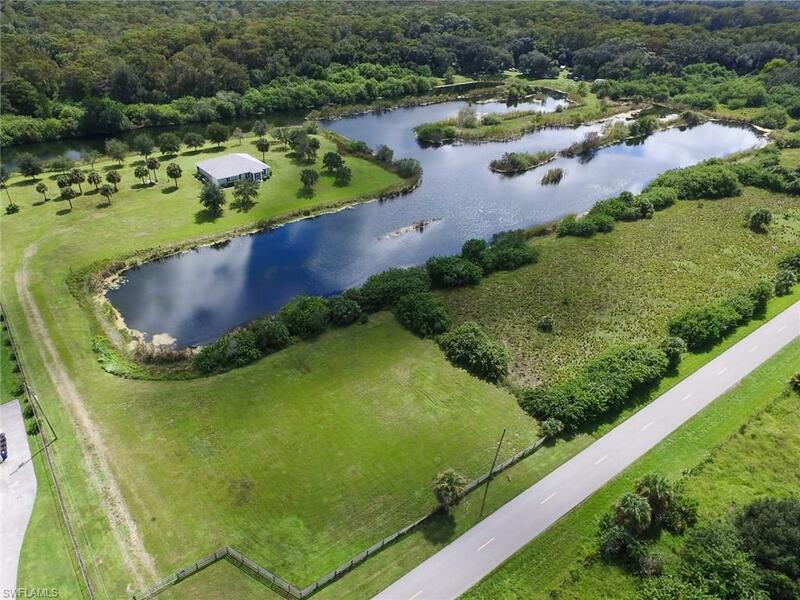 This unique 4.5 acre property is surrounded on three sides by a semi private lake and sweeping views of the Daniels Preserve at Spanish Creek. This preserve is Conservation 20/20 protected land. The home boasts a back porch that stretches the length of the home and allows access from the master bedroom, living room and a guest bedroom as well. Plenty of room to add a barn or stables. The kitchen and bathrooms were recently updated and new flooring throughout the home. Come see this breathtaking property today. Only a 15 minute drive to I-75 and a 25 minute drive to downtown Fort Myers.